LET ME GOOGLE THAT. Any random question you have — why platypuses produce milk if they lay eggs, Winona Ryder’s birthday, the name of that actor in that movie you saw in high school in one time — you can (probably) find the answer on Google. In the past, scientists looking for datasets to use in their research? They didn’t have that luxury. The internet hosts millions of datasets, and the information they contain fuels the latest scientific research. But because these datasets exist across thousands of repositories, it’s not always easy for scientists to find the datasets they need. Now researchers have the same option as your wandering mind: they can just check Google. On Wednesday, Google launched Dataset Search, a new search engine specifically geared toward collections of data. The company hopes the platform will help scientists to locate datasets quickly and painlessly. READABLE DATA. According to a blog post, Google started the project by creating guidelines for dataset providers to ensure the search engine could understand the content of a dataset. For example, they suggested that providers should include particular information in the dataset’s metadata, such as how the provider collected the data and who can use it. Data that follows these guidelines is easier for Google to index the datasets so that the relevant ones show up in search queries. JUST THE BEGINNING. 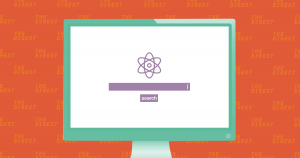 This first version of Dataset Search includes datasets focused on the environmental and social sciences, as well as datasets from government websites and various news organizations focused on other topics. According to Google, the number and type of datasets included in the search engine will continue to grow as more dataset providers adopt the company’s metadata guidelines. Eventually, accessing the millions of available datasets might be as easy as typing a few words into a search box. More on data: It’s Official. Fossil Fuels Are No Longer the World’s Most Valuable Resource.